There is no other laptop that I can find anywhere near this that is anywhere near as good. Windows 7 Home Premium costs around £70 on its own to buy!! You left out one more ! + Outlet as : "Our retail stores and helplines are not able to assist or refund any Currys/PC World Outlet purchases. Please contact the Outlet team direct." Good price but I recon you could get something a bit better in a 15.6" chassis. 13.3" and this would be HOT. They should change the company acronym from DSG to CBS (Car Boot Sale). Reasonable specs for the price but Currys/PCWorld refurbs have a high failure rate. 3 months warranty is too short. Cheap as chips! If I were to buy this, I'd get an extra years warranty with my Barclay's Additions Plus account, making the short warranty less of an issue. Some people might get the same on their credit card. They can't have much confidence in their products to offer such a short warranty, and anyway your consumer rights far out weigh their limited warranty. The specs for this machine is very good for the price. I see the point that it is a 3 month warranty but I agree with an earlier post that if it's gonna break it will usually do it within the first week or so anyway. Worth a punt IMHO. 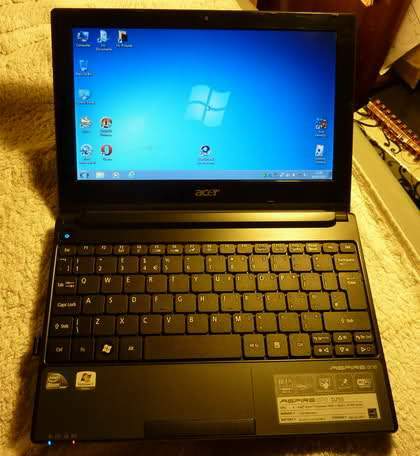 My recent Acer D255 netbook from them is perfect and only cost £130 +6cell battery +arrived in less than 48 hours by DHL. In the last month this Currys outlet has had only 10 negative feedbacks out of 2427 positives, all were about late/failed delivery and non about faulty goods. I used to have something similar, which doubled the warranty, but I think it excluded 2nd had, ie refurbs! My recent Acer netbook from them is is perfect and only cost £130 +6cell … My recent Acer netbook from them is is perfect and only cost £130 +6cell battery +arrived in less than 48 hours by DHL. In the last month this Currys outlet has had only 10 negative feedbacks out of 2427 positives, all were about late/failed delivery and non about faulty goods. Trouble is you cant leave negative feedback after 2 months if a fault develops and you already given a positive feedback prior. Trouble is you cant leave negative feedback after 2 months if a fault … Trouble is you cant leave negative feedback after 2 months if a fault develops and you already given a positive feedback prior. If you use a laptop every day for 3 months without a fault, it's a safe bet your in the clear, and given the price saving, well worth the small risk - for me anyway. If you use a laptop every day for 3 months without a fault, it's a safe … If you use a laptop every day for 3 months without a fault, it's a safe bet your in the clear, and given the price saving, well worth the small risk - for me anyway. I be mighty peeved that a laptop failed after 3 months refurb or not, if they have done the refurb properly they should be offering a longer warranty. I took a punt on this. Been looking for a spare laptop for a while and this is the best price for the spec I coujld find. I'll only be using it for basic stuff, nothing too intensive. They seem to be selling quick, last 5 left. There is 65 units in total. Not bothered about the box, just hope it's not it dire cosmetic condition and that it boots up ok! Hi. I would like to give some advice. I purchased one of these refurbs on 14th april. I have since had four laptops and everytime with the same blue screen issues. I wont knock them as they did collect and replace although it takes a week to get your replacement. I have now recieved my fourth laptop and it was knackered!! Buyer beware thats all i can say... I have got a refund going through at present and i will go elsewhere.. Oh and by the way i paid £259.99 for the blue version all the same just different colour..
Hi. I would like to give some advice. I purchased one of these refurbs on … Hi. I would like to give some advice. I purchased one of these refurbs on 14th april. I have since had four laptops and everytime with the same blue screen issues. I wont knock them as they did collect and replace although it takes a week to get your replacement. I have now recieved my fourth laptop and it was knackered!! Buyer beware thats all i can say... I have got a refund going through at present and i will go elsewhere.. Oh and by the way i paid £259.99 for the blue version all the same just different colour..
About 3 years ago bought a refurb advent which is still working brilliantly......Was I just lucky? My recent Acer D255 netbook from them is perfect and only cost £130 … My recent Acer D255 netbook from them is perfect and only cost £130 +6cell battery +arrived in less than 48 hours by DHL. In the last month this Currys outlet has had only 10 negative feedbacks out of 2427 positives, all were about late/failed delivery and non about faulty goods. Er yes, well spotted, you have done well today. I'd avoid advent laptops. I had one that had a horrible buzzing sound everytime i moved the cursor and pressed a key on the keyboard. Seriously, this thing made the thing just about unusable for me. When using headphones this was just not on after having spent £349 on the laptop! You're trying to listen to music or watch a DVD on it and all you can hear is this obtrusive BUZZ! 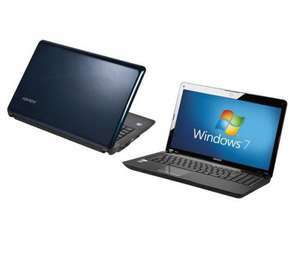 I took it back under the 28 day money back thing and got a 2nd laptop (the same model) the same problem arose. In the end I played my face and they agreed to let me pay the difference for a different laptop. I have a Mondena 301 and the hard drive went wrong : I got a new drive and tried to install it with win 7 premium from Microsoft .The total installation would NOT work at all ? : Any answers pls. I have a Mondena 301 and the hard drive went wrong : I got a new drive … I have a Mondena 301 and the hard drive went wrong : I got a new drive and tried to install it with win 7 premium from Microsoft .The total installation would NOT work at all ? : Any answers pls. What is the problem/error you are getting? The total installation would NOT work at all ? I fixed a laptop with a total installation by licking a puppy. The hair got in my teeth but I could boot windows.